A Brighton Beach sabbath afternoon. Ultra-orthodox Jews gazing (longingly?) 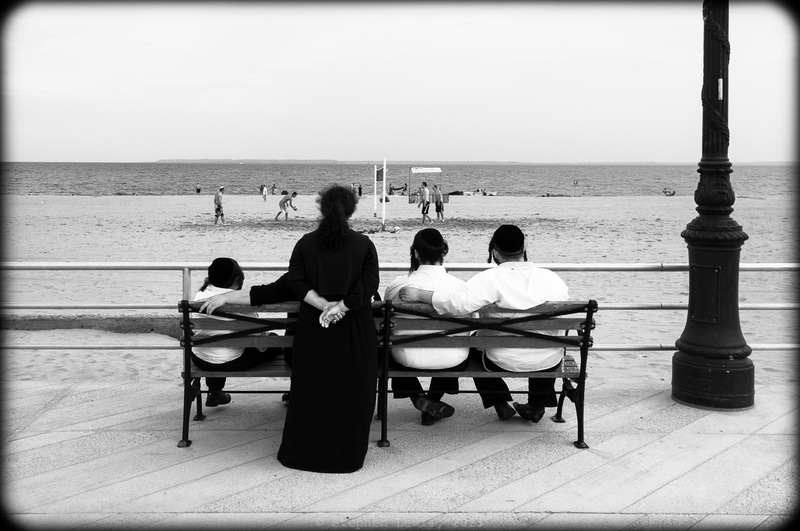 at a volley ball game and the sand, sea, and horizon; Brighton Beach, Brooklyn, New York, 2012. (Fuji X100). Click to enlarge. Note the prefabricated concrete boardwalk surface, grained in a half-hearted attempt to simulate the traditional wood plank surface — more on this in a subsequent post.